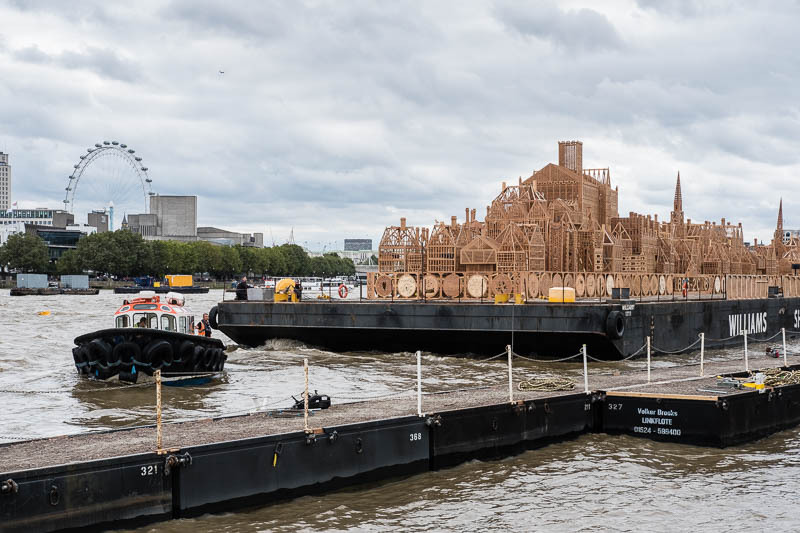 The great fire of London was 350 years ago to commemorate the event a number of activities have taken place over the past few days. The finale was to set fire to a replica of the city as it looked back then. Floating on a barge in the Thames here is how the city looked prior to the spectacular burning. I would love to have seen that - but what a shame to destroy all that hard work. That must have been something to see! I would love to have been there for that. I did read about this - so pleased you were able to share this photo. Watched it on TV - spectacular!!! That's a lot of work to go up in smoke!